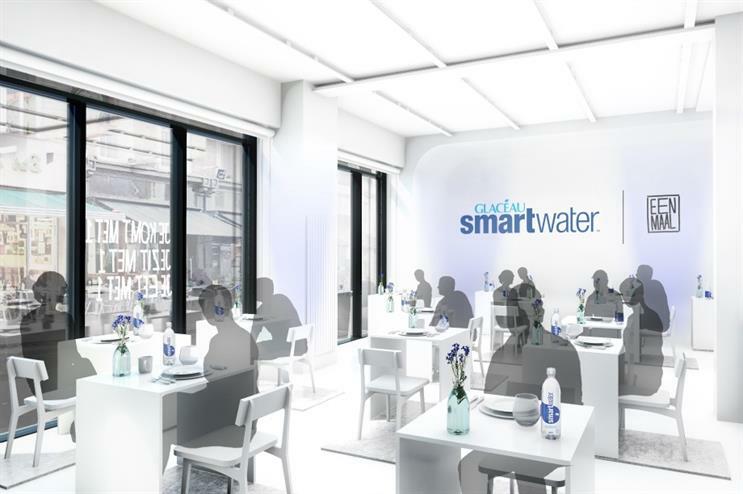 Coca-cola brand Glacéau Smartwater has announced plans to create a pop-up individual dining experience in London's Soho area, running between 29 and 30 January. The pop-up will be named Eenmal, which directly translates from Dutch as 'dinner for one'. It aims to encourage Brits to reclaim their lunch break and enjoy fresh cuisine before returning to their desks. Diners have been asked to apply for their spot in the activation via social media. The bespoke menu will be designed by the concept’s founder, Marina Van Goor, and complemented with drinks of Glacéau Smartwater. The brand is working with agency Exposure's events team to launch the pop-up. Joan O’Connor, head of brand PR at Coca-Cola, north-west Europe and the Nordics, said: "January is traditionally seen as the month for recovery from festive excesses. The Glacéau Smartwater x Eenmal dining experience offers Londoners a chance to regain that extra hour and enjoy a moment of mindfulness." Van Goor added: "I’m so excited to bring Eenmal to the UK in partnership with Glacéau Smartwater. The original concept was designed to turn the negative connotation surrounding eating out alone into a positive one, as a social response to the idea that eating alone is a sign of loneliness. "I look forward to encouraging Londoners to reassess their routine, taking a moment to disconnect from our hyper connected society and enjoy the ‘now’ that is vital to our wellbeing."